Federal investigators say 57 wild horses that died after being transferred to a corral in Kansas likely succumbed to stress, age and changes caused by the move. A preliminary report says federal investigators found no signs of infectious or contagious disease in the horses. The report says the shift from pasture to corral environment, and the change from pasture feed to processed hay feed also were factors in the deaths. 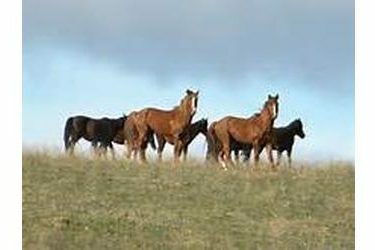 The horses were among 1,493 mares transferred to Scott City in June by the U.S. Bureau of Land Management. The move came after a Kansas contractor told the agency he would renew an existing contract but wanted a smaller herd. A veterinarian had to euthanize an additional 13 animals at the Scott City corral.